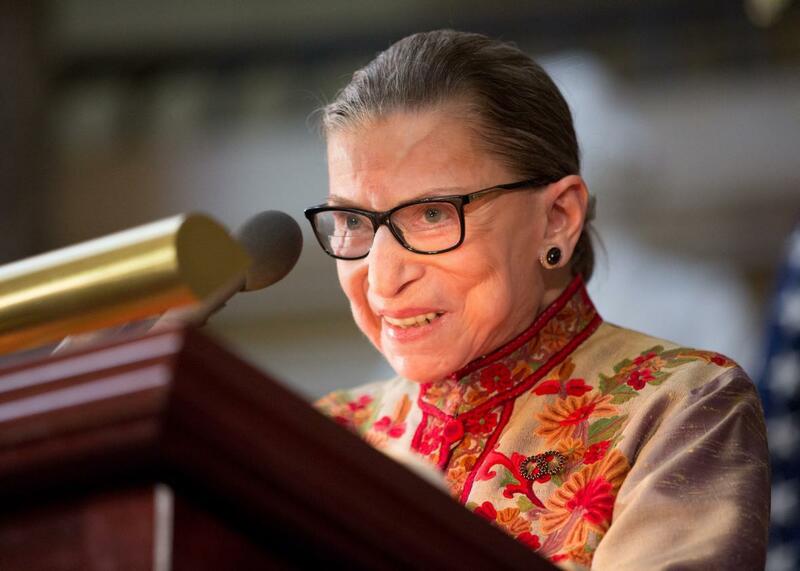 Ruth Bader Ginsburg on marriage equality: How she would have written the opinion. Supreme Court Justice Ruth Bader Ginsburg, jurisprudential pragmatist. The most fascinating moment of the evening, however, arrived when Ginsburg spoke on the court’s decision in Obergefell v. Hodges, which struck down gay marriage bans in every state. Justice Anthony Kennedy’s majority opinion in Obergefell was rooted in the Due Process Clause of the 14th Amendment, asserting that marriage is a “fundamental right” and thus a component of the “liberty” protected by the Constitution. Kennedy only briefly mentioned that gay marriage bans also run afoul of the 14th Amendment’s Equal Protection Clause. Ginsburg, along with her three fellow liberals, joined that opinion, and declined to write a separate concurrence. Perhaps because in this case it was more powerful to have the same, single opinion. … That kind of discipline is to say, “I’m not the queen and if the majority is close enough to what I think … then I don’t have to have it exactly as I would have written it.” … On the whole, we think of our consumers—other judges, lawyers, the public. The law that the Supreme Court establishes is the law that they must live by, so all things considered, it’s better to have it clearer than confusing. Ginsburg has noted before that the liberal justices make a point to stick together and speak with one voice. When the liberals splinter on their legal rationales, they’re less likely to draw a fifth vote for their preferred outcome. Was Ginsburg right to resist her impulse to pen a concurring opinion in Obergefell? Maybe. Had Ginsburg written an Equal Protection concurrence, she probably would have argued that laws targeting gay people must be subject to heightened judicial scrutiny. The other liberals may well have signed onto her opinion, and lower court judges could have used her logic to strike down anti-gay laws that don’t relate to marriage. On the other hand, the court is most powerful when it speaks with one voice, and Kennedy’s Obergefell opinion stands on its own as a vehement defense of gay people’s “equal dignity.” Ginsburg’s strategy deprived us of a great concurrence. But it strengthened the opinion that brought marriage equality to the country.